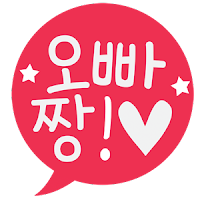 1.Welcome to OppaJjang store! In the home page, you will arrive at the shop area, where you can view all the products. Selamat datang di OppaJjang store! Di halaman awal, anda akan berada di area berbelanja, dimana anda bisa melihat seluruh produk yang tersedia. 2. Click on your product choice to view from the product list. Klik pada produk pilihan anda untuk dilihat dari daftar produk. 3. When you're done browsing, go to Order Form or click the link available in the product's page. Setelah selesai menjelajah, lanjutkan ke Order Form atau klik pada link yang tersedia di halaman produk. 4. Fill the order form with all necessary details, also don't forget to check shipping fee from Surabaya to your address through http://www.jne.co.id/. After you submit, you will receive a confirmation email of payment details from us. Isi form order dengan detail yang dibutuhkan, dan jangan lupa untuk memeriksa ongkos kirim dari Surabaya ke alamat anda lewat http://www.jne.co.id/. Setelah anda mengirimkan pesanan, anda akan menerima email konfirmasi berisi rincian pembayaran dari kami. 5. Payment must be made within 24 hours or your order will be cancelled. After completing the payment go to the Payment Confirmation page, and complete the form. *Products purchased cannot be cancelled or refunded. Pembayaran harus dilakukan dalam jangka waktu 24 jam atau pesanan anda akan dibatalkan. Setelah menyelesaikan pembayaran, masuk ke halaman Payment Confirmation, dan lengkapi form yang tersedia. *Produk yang telah dibayar tidak dapat dibatalkan atau dikembalikan dana-nya. 6. After receiving your payment confirmation, we will mail your order - which will arrive in approx. 1 week. Setelah menerima konfirmasi pembayaran, kami akan mengirimkan pesanan anda - yang akan tiba dalam jangka waktu kurang lebih 1 minggu. 1. How do I find out about sizes? Our products are available in All Size or Free Size. We provide the measurements of the products in each item's caption. Please refer to the size guide in the product details page for more information. Unfortunately, we are still unable to ship overseas. For now, shipping is only available in Indonesia. For now we only accept payment via Bank Transfer (ATM Transfer or Internet Banking). 4. I have paid my order. What should I do now? Please confirm your payment by filling the form in this link, for Payment Confirmation. Orders must be paid according to the amount shown on the e-mail receipt and confirmed afterward. Failure to do so may result in your order being cancelled. 5. Which couriers do you use for your deliveries? We use JNE (http://jne.co.id) for local shipping; Our location: Surabaya, Indonesia. 6. Do you deliver overseas? Products ordered will be processed and delivered within a week. We ship regular orders from Surabaya, Indonesia in business days after we verify your payment. The further you are from our location, the package may arrive 2 or 3 days later. 8. Can I request for a specific group or song to be designed? Yes, we accept request; you can go to the Contact Us form and write your request to us. If your request seems popular, we will try to make it happen. 9. What if my question is not listed above? You can also write your question in the Contact Us form, and we will respond to it as soon as we can. All images appearing in OppaJJang website are the exclusive property of OppaJjang. The images may not be reproduced, copied, transmitted or manipulated without the written permission of OppaJjang rightful owner. 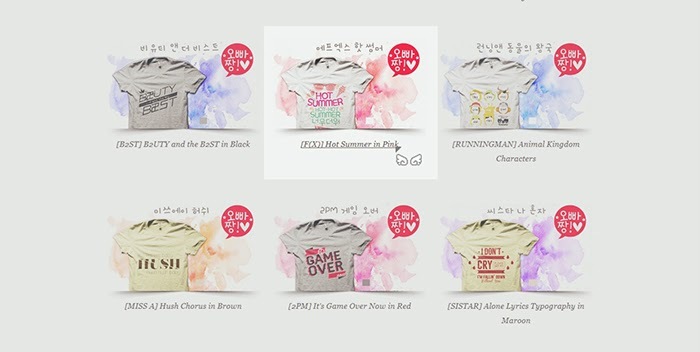 Copyright © 2013 OppaJjang: K-Pop Tee and Merchandise. Especially Designed for K-Pop Fans!, All Rights Reserved.